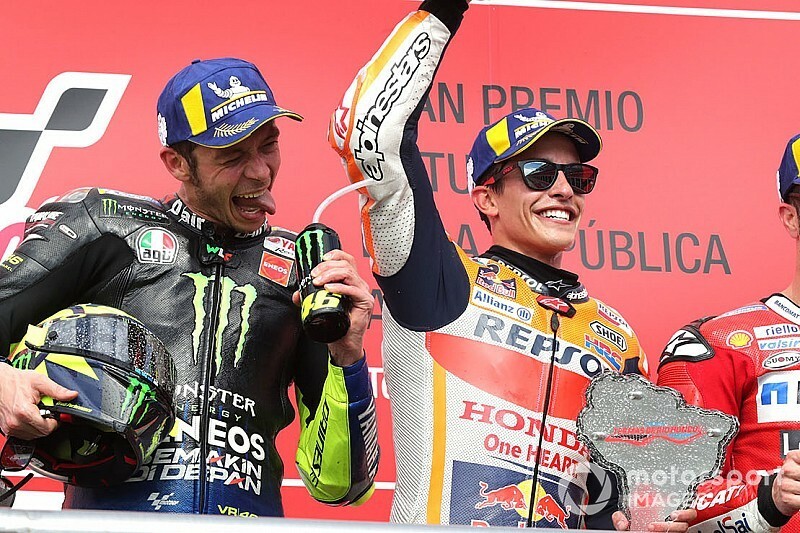 Dominant Argentina Grand Prix winner Marc Marquez revealed that he was rooting for Valentino Rossi over Andrea Dovizioso in their battle for second place. While Marquez was in a class of his own and won by 9.8 seconds at Termas de Rio Hondo, Rossi and Dovizioso had a race-long duel for second. Rossi emerged victorious in that fight thanks to a last-lap move, and Marquez admitted that he was hoping the Yamaha rider would beat Dovizioso, who has been main rival for the past two years. "When I passed the finish line I knew that Dovizioso and Rossi were fighting for second place," said Marquez, who topped every session except FP2 throughout the weekend. "I preferred Valentino to be second overall." He added: "I am happy because we won and leading the championship but I am happier the way we manage the weekend. "It was one of the most solid weekends of my career in MotoGP, I feel really strong during all the session. "I understand really well the set-up, the tyres, and then I understand the way to manage the race and that the first laps were where I can make the biggest difference." Marquez added that it was "not very difficult" to maintain his strong form on a consistent basis, as he had a "sweet feeling" all weekend. "Was not very difficult, for example in Qatar I was struggling more to follow the others, even to be there in the podium," he said. 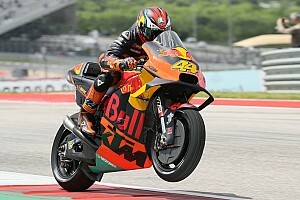 "For some reason this weekend I was going out and since I go out from the box the laps, I was in a good shape. When you are in a good shape, have that sweet feeling, everything comes easier." 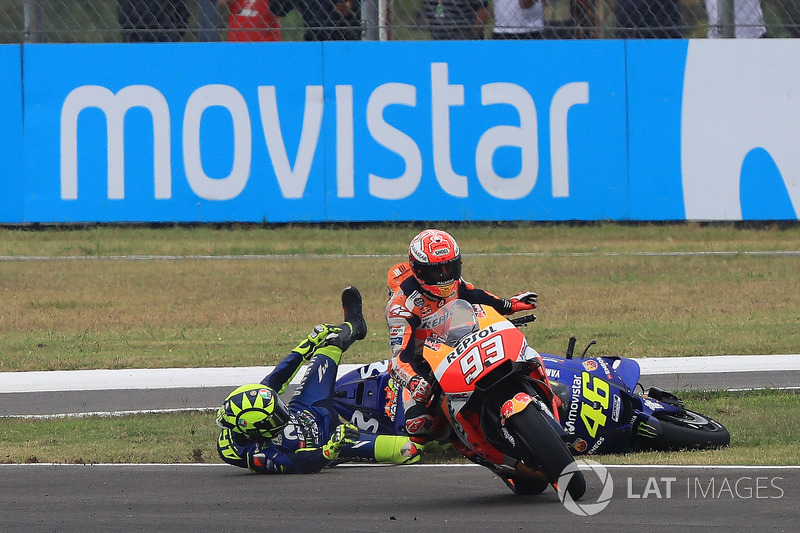 Marquez was on course to dominate the grand prix in Argentina last year, only for his race to fall apart as he was penalised after stalling his bike on the grid, and then hit Aleix Espargaro and Rossi, which created a major controversy. The Honda rider said that the events of 2018 gave him extra motivation to manage a perfect race this time. "It's not my style at all, I can tell [how many] races [I won like this] on one hand," said Marquez. "But honestly after last year I wanted to do a race like that, I wanted to show my speed and my precision." 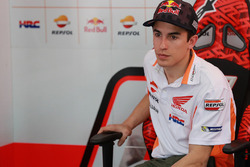 Marquez now leads Dovizioso in the championship by four points, and he said that he is feeling just as strong as last year, when he went on to comfortably win the title. "Last year I felt very similar," he said. "Of course we take zero points [in Argentina last year] but the speed was there, I was really fast on the race but we did a few mistakes. "But last year I felt strong, too. We will see, but always I try to be quiet because the championship is very long."